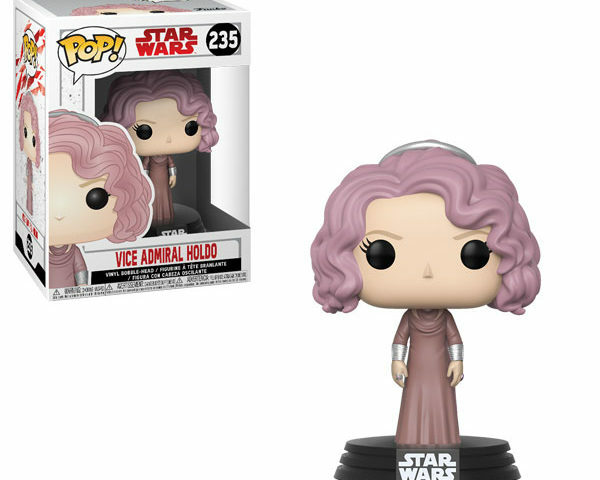 Funko has a few Star Wars related updates as we speed toward the opening of The Last Jedi — New Mystery Mini Keychains, an Admiral Holdo Pop!, plus additional items currently available at Funko. Celebrate the release of The Last Jedi & give the gift of a galaxy far, far away this year. A curated selection of Star Wars collectibles is now available on Funko Shop, including the exclusive Smuggler’s Bounty subscription box – The Last Jedi. are now Mystery Minis Keychain Plushies! Mystery Minis Keychain Plushies are 2.5 – 3” tall. You can clip them anywhere, or display them in your home or office. C-3PO, Darth Vader, Ewok, Boba Fett, and Jawa.